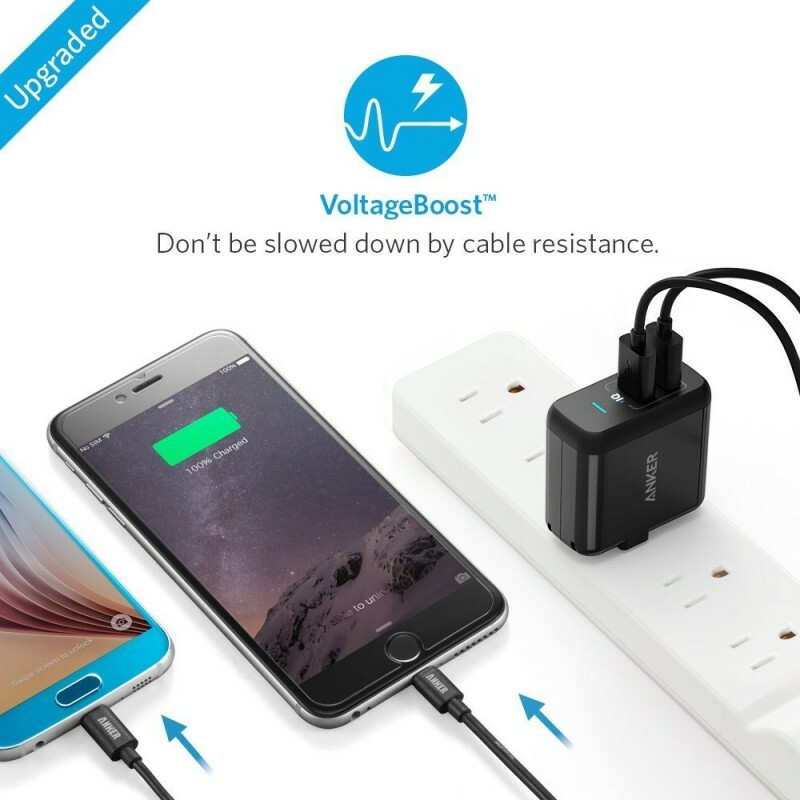 PowerIQ and VoltageBoost combine to ensure the fastest possible charge speed. 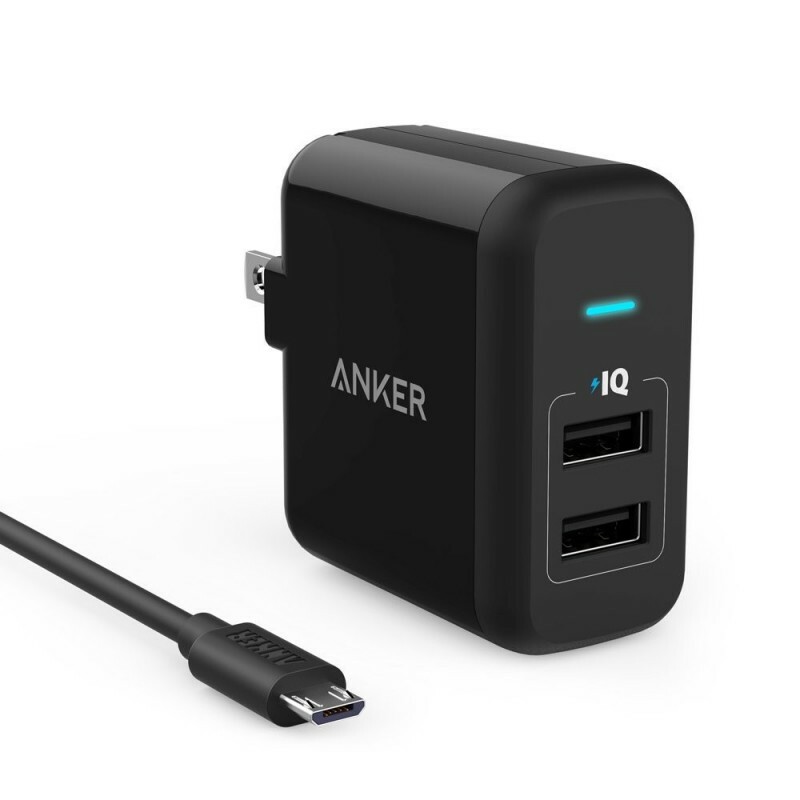 Exclusive to Anker, PowerIQ and VoltageBoost combine to ensure the fastest possible charge speed (Qualcomm Quick Charge 2.0 not supported. 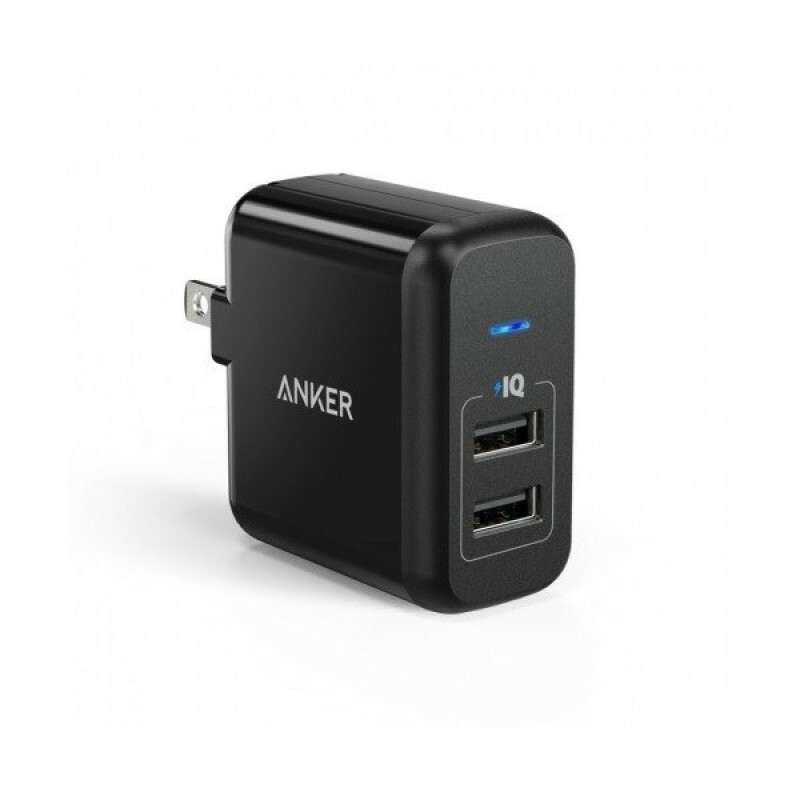 For QC 2.0 charging, please see Anker's PowerPort+ 1). 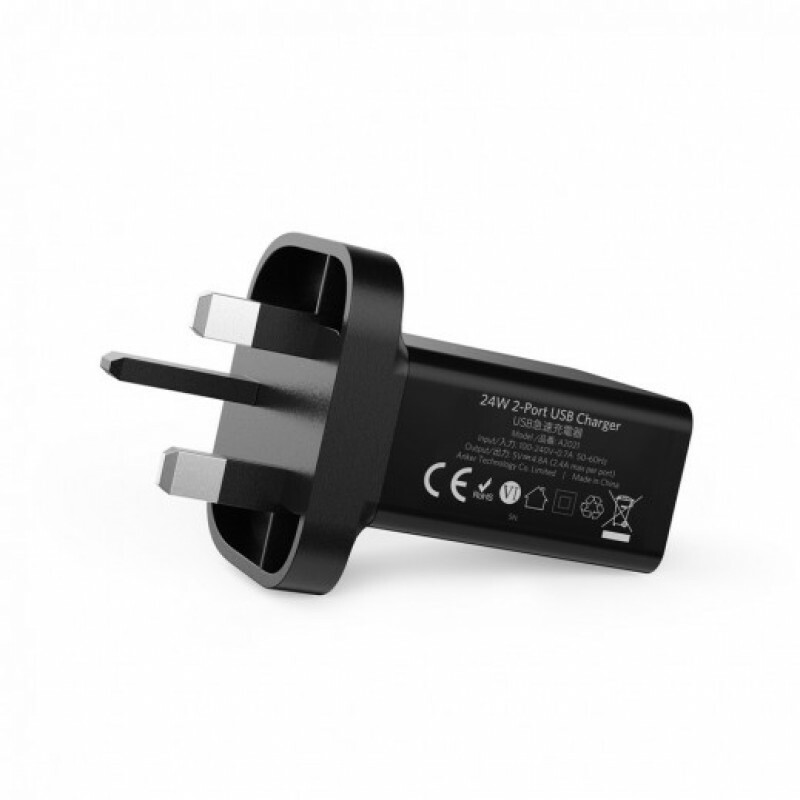 Surge protection, Short circuit prevention, temperature control and more keep you and your devices safe. 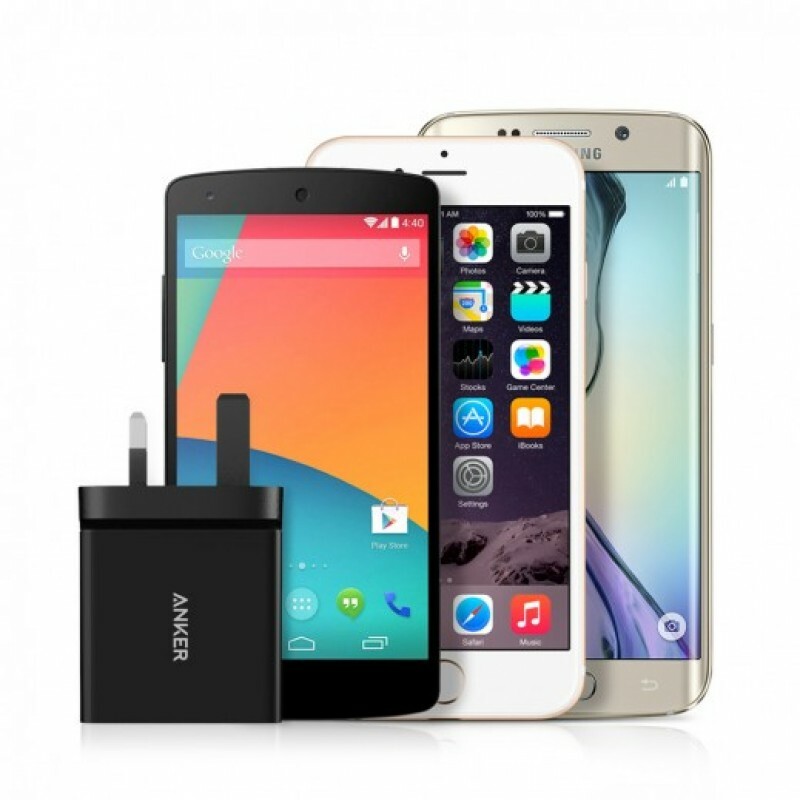 Compact design with foldable plug makes it one of the most portable dual-port USB chargers on the market. 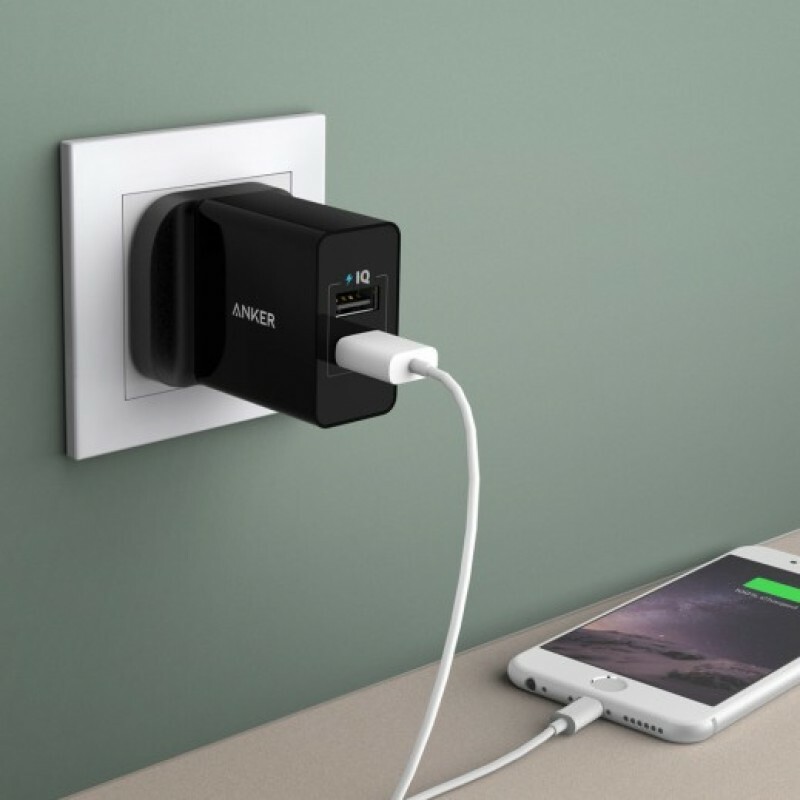 Green let's you know your device is plugged in and charging. Blue means fully charged or idle.